First things first, have the lactation consultant on speed dial. If you’re going to nurse your premmie at home, it’s best to get a pro’s help (and their number) before your baby checks out of the hospital. Premmies can present special breastfeeding challenges (like keeping your sleepy sweetie awake long enough to get a decent feeding). A lactation consultant can help with issues such as latching on, establishing your milk supply and getting used to pumping. Next thing to do is to ensure you have the necessary premmie equipment. Your premature baby will need a special wardrobe and other pint-sized items. 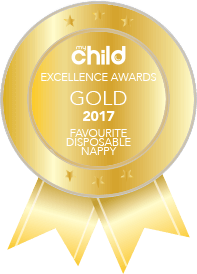 Be sure to stock up on BabyLove Premmie Nappies too — find out where you can purchase these here: https://babylovenappies.com.au/where-to-buy/. You may also need a special car seat made for low-birth-weight babies or at least an infant seat with a newborn insert that will cradle their smaller-than-usual frame. Some hospitals (and local councils) have loaner car seats, so ask before you leave. It’s important to note that some premmies may have to sleep on their sides because of lung issues, so ask your doctor about which sleeping positions are best to implement for your baby. That being said, for most babies, sleeping on their backs is best, which is especially important for premature babies because they’re at greater risk of Sudden Infant Death Syndrome (SIDS). Keep blankets, soft bedding, pillows and stuffed animals out of the crib and try to keep the room temperature between 20°C and 22.2 °C. Additionally, try your best to ensure that your baby goes to her regular check-ups, which will reduce the risk of SIDS. It’s normal to have some less-than-perfect moments with your premature baby, especially in the early days as you get the hang of caring for them without the security of neonatal physicians and nurses nearby. Though with each day, you’ll get a little more confident. Your baby will become better at communicating their needs, and you’ll find your rhythm, just like any other mum-baby team.